Tonight on HBO Terence Winter’s Boardwalk Empire starring Steve Buscemi returns with an all new Sunday September 21, Season 5 episode 3 called, “What Jesus Said.” On tonight’s show Margaret finds herself in a pickle due to her dealings with the late Arnold Rothstein when his widow starts snooping around his covert affairs. Meanwhile, Chalky wonders where his latest partnership is going; Nucky talks shop with a prominent businessman from Boston; Luciano and Siegel try to strike a deal with Narcisse in Harlem; and in 1884, a young Nucky works hard at the hotel and catches the eye of a girl who’s vacationing with her parents. On last week’s episode, back from Cuba after a dangerous encounter, Nucky payed a visit to the now-retired Johnny Torrio (Greg Antonacci), who agreed to broker a meeting with the new “Boss of Bosses,” Salvatore Maranzano (Giampiero Judica). In Chicago, Eli (Shea Whigham) and Van Alden (Michael Shannon) were tasked by Mike D’Angelo (Louis Cancelmi), Al Capone’s (Stephen Graham) new right-hand man, to recoup money lost during a federal raid by Eliot Ness (Jim True-Frost). Fresh out of law school, Willie Thompson (Ben Rosenfield) had a job interview. 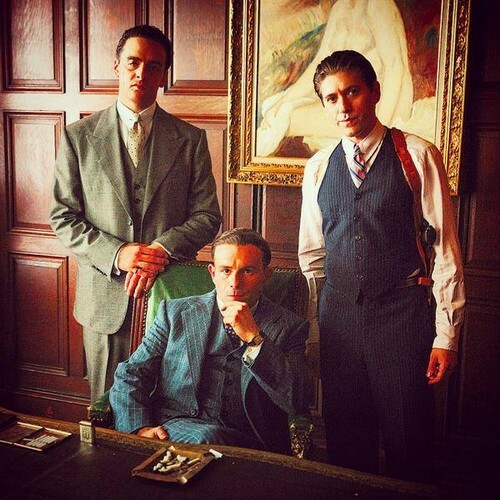 Rebuffed by a group of would-be financiers, Nucky dined with Tonino Sandrelli (Chris Caldovino) before sending a message to Lansky (Anatol Yusef) and Luciano (Vincent Piazza). In 1884, a young Nucky dealt with the death of his sister, Susan (Onata Aprile), while his father (Ian Hart) had a standoff with the Commodore. Did you watch last week’s episode? If you want to get caught up before the show airs tonight, we have a full and detailed recap, right here for you. On tonight’s episode Chalky heads in a new direction after assessing his latest partnership. In New York, Margaret finds herself in a quandary as a result of her association with Arnold Rothstein. Nucky hosts a prospective “big fish” partner from Boston. Luciano and Siegel meet with Narcisse (Jeffrey Wright) in Harlem, promising business as usual, but encounter resistance. In 1884, young Nucky is privy to the passion of a hotel guest, and flirts with a young girl. Tonight’s episode is going to be another action packed one, which you won’t want to miss. So be sure to tune in for our live coverage of HBO’s Boardwalk Empire Season 5 episode 3— tonight at 9PM EST! There’s a shot of a still house. A hand comes through a front door and turns the nob. Two men, Chalky and Buck, break into the house and begin eating and drinking. Chalky asks Buck if this is the correct house. Buck doesn’t respond. A young woman becomes aware of their trespassing and stares at them. She’s clearly afraid. Chalky says that they are the “moving men.” The young woman says that they aren’t moving, that they don’t need moving men. Chalky says that they’re not those kind of men; rather, they’re merely “men on the move.” They says that they’ll move onward for cash or anything else. The young woman says that she doesn’t have anything. Buck pulls a gun out. An older woman comes down the stairs. A young Nucky delivers flowers to a man who has a naked woman in his room. The man asks him if he’d risk everything for the woman he loves. Nucky says that he would. Nucky speaks with Sally. Nucky asks Sally how the deal with Bacardi’s going, and she says it’s going well. They’ve lost the alliance of the senator. Next on the horizon, Nucky says that they can expect some friendship from a big wig Wallstreet guy hoping to get into the liquor business. Nucky receives a letter from Miss Nellie Bly. Margaret is questioned about a man who goes by the name Abe Redstone. The man doing the questioning asks Margaret if she’s aware that this name was an alias. Margaret says, “No.” She wasn’t aware. Arnold Rothstein is the man’s true identity. He was a notorious bootlegger who was involved in narcotics rings. He’d died a while ago; however, his accounts, under numerous aliases, were quite active. Turns out that Mr. Bennett, Margaret’s boss, had been siphoning money from the account to play the markets himself — and failing. Mr. Bennett, as we know, killed himself. The men questioning Margaret says that someone’s going to have to answer for this great crime. They show here documents that have her signatures on them. Even though she didn’t willingly participate in this fraud, she’s nonetheless implicated. Buck and Chalky continue to hold the two women hostage in their own home. The young woman identifies herself as Fern. Buck says he has a “ringing in his ears.” Buck continues to get offensive with the gun. The phone starts ringing. Chalky stays calm and suggests that they leave, but Buck gets flustered, worried that fleeing during board daylight would be a wrong move to take. The daughter says that it’s her father calling. He calls everyday before he’s about to come home from work. In a fit of rage, Buck runs over to the phone and throws it on the ground. He used to work at this house before, and he knows there’s a safe in the cellar. He forces Fern and her mother to show him down there. The safe’s not there. Fern says that her father moved all the valuables to a safety deposit box in the city. She says that she can go get it for them and then return. Chalky continues to suggest that they get along on their way, as the father could return home any minute. They don’t need any unnecessary trouble. Buck says that they aren’t going anywhere. They’re staying put. In Harlem, NY, Doctor Narcisse is having a business meeting with Mr. Maranzano’s men. He’s offered a business deal and, in exchange, will receive necessary protection — from “whatever things might turn up.” He doesn’t take the deal. Young Nucky is called back down to work before he can deliver his daily flowers to Mr. B, the man who asked for this service. Nucky has his meeting with his new friend, Joe. Someone approaches the house and drops off a package. Buck runs to the door to collect the package. It contains a dress for Fern’s spring formal. Buck unties Fern and tells her to put it on. He wants her to “put it on proper,” meaning he wants her to undress. The mom, unable to watch her daughter do this for their captor, jumps up and reveals that the location of the safe is actually upstairs. Buck smiles. Meanwhile, Margaret has a meeting with Carole Rothstein. Margaret thanks her for meeting with her. Carole is suing for the money that was taken out of her dead husband’s account, and she’s coming after it with all she’s got. Her lawyer says the case is open and shut. Margaret reveals that she had a business arrangement with Mr. Rothstein and that nothing happened, despite Carole’s suspicions. Margaret gave him stock information in exchange for free rent. Nucky goes to the club with Joe. Buck and Chalky try to break into the family’s safe. They aren’t having much luck. Buck finally realizes that this isn’t the safe he remembers and begins to think that the women have played him. “You think I’m simple?” he says. They finally come clean: The husband/father left them. Buck pulls the gun on Fern. The mom breaks down and opens the safe, which only contains Liberty Bonds from the war. They wouldn’t do Buck any good. Chalky bashes Buck’s head with a hammer and kills him, leaving him bloody on the floor. He leaves the family’s house. Nucky continues his negotiation with Joe. Joe asks Nucky why he should partner with him. Nucky says he should partner with him because he’s not a gangster. He’s an “advocate for repeal.” Joe is wary to do business with him, however, because he’s unsure “who” he’s making money for — if it’s not a family, etc. Nucky says that he merely wants to “leave something behind.” Joe doesn’t much like this and, it seems, walks away from negotiations. Italian gangstas come in and shoot Doctor Narcisse’s prostitutes — payment for refusing their business deal. Nucky wakes up from a nap to see Margaret sitting in the darkness.